Nicola has done three years on contract work, recent highlights TVNZ One Network News, (2008) Whitebait TV, What Now (2008,2009), NZ Racing Board Trackside,TVNZ The Rich List, TV3 Deal or No Deal, TV3 Sunrise, TVNZ News The Back Bencher, Leaders Debate Leaders on 7 series, Stratos Farming Today. 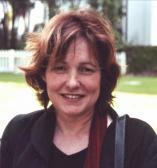 She has been a tutor in screen design — including assignments at the CPIT Broadcasting School, Toi Whakaari in the Performance Design course, and The New Zealand Film School. Nicola was Senior Production Designer at Avalon Studios for seventeen years. Her main strengths are creativity, project management, computer literacy, Auto Cad Lt (6 years), Vectorworks, Photoshop, Microsoft Office, numeracy and communication. She also has the ability to work collaboratively, and to provide support to colleagues as well as building strong professional relationships with team members, clients and suppliers. Joyful & Triumphant drama/telefeature 1995, nominated for 1995 Film & Television Awards. Designed and commissioned the bronze TUI award in use as the music industry’s ultimate accolade since 1995. 1986 –1988 Gannaway Advertising London — photography commissioner. 1983 – 1986 Self Employed Props buyer/wardrobe, commercials & feature films Wellington.